We are unable to provide direct support to survivors of violence against women, girls and children but there are many specialist organisations all over Scotland who can support you or someone you are concerned about. If someone is in immediate danger, you should call the police on 999. 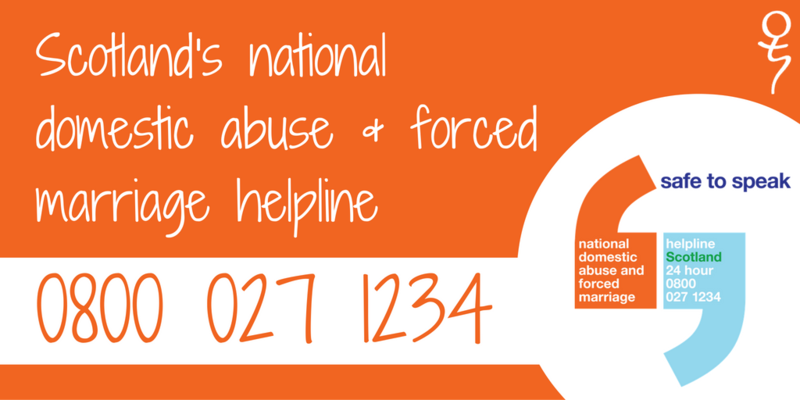 For general advice and helpline support, please contact the following organisations. For details of local services, please download the directory of local services across Scotland. This resource is updated once a year but you can always get the up to date contact details by contacting the helplines above. For any Safeguarding concerns, you can contact the Church of Scotland’s Safeguarding Service on 0131 240 2256 or through your local Safeguarding Coordinator.